From simply hiring one of our beautiful wood fired hot tubs through to renting our full Roaming Eco Spa Site, complete with hot tubs, saunas, showers, changing rooms and relaxation lounge – at Kernow Springs we offer a truly bespoke rental service to suit the size of your budget & event. Perfect for that very special party or post wedding celebration. "WOW Kernow Springs - The perfect finish to our wedding celebrations! We wanted to thank our guests in style & they simply loved it!" This is our minimum rental and includes one of our top of the range 1.8m diameter wood fired hot tubs with external heater. This tub can comfortably accommodate up to 8 adults or a whole bunch of children. Complete your own bespoke Wild Spa rental by choosing from the following add on's. Another of our top of the range 1.8m diameter wood fired hot tubs with external heater. Our unique wood fired Sauna Yurt which can seat up to 6 adults or 2 laid down. Hot & cold showers featuring our invigorating cold “drench” shower. Private, furnished male & female changing rooms. Cosy ‘Bedouin’ chill out lounge with solar powered sound system, huge cushions, outdoor bean bags, rugs & throws – perfect for keeping Spa users entertained between hot tub or sauna sessions. Entrance hall & reception area to welcome your guests. Full perimeter fence for privacy & security. We can provide you with a manned or unmanned service, depending on the type and size of rental you choose. Our team will set up your Kernow Springs rental at your venue the day before your actual event. The day after your event our team will return to break down the site & tidy up. The only thing we will leave you with will be unforgettable memories of your time shared at Kernow Springs. 25% deposit to be paid at the time of booking. Balance to be paid in full four weeks before the date of your event. 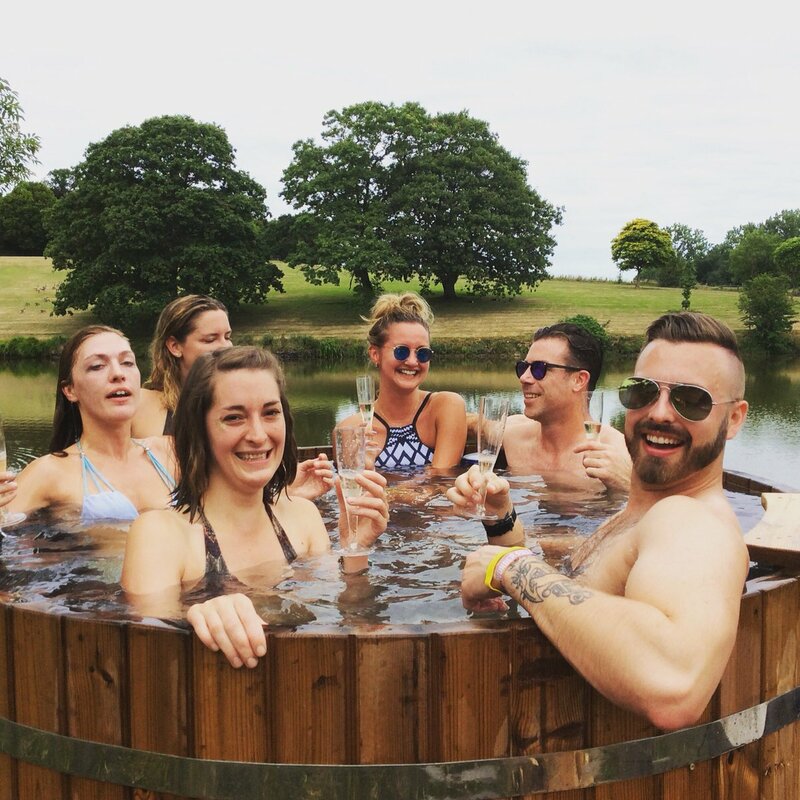 If you are toying with the idea of owning one of our beautiful wood fired hot tubs – why not rent one from us first. If after your rental you then decide to go ahead with your purchase we will deduct the cost of your rental from the cost of your hot tub purchase. Ask us about our discounted ex rental, Pre–Loved sales options.